During the 7th session of the 16th Tibetan Parliament in Exile, President Dr Lobsang Sangay nominated former veteran bureaucrat Topgyal Tsering as one of his ministers to fill a ministerial vacancy. Purportedly, the vacancy was the DIIR portfolio, which the president himself has been shouldering as an additional charge ever since his first ministerial nomination in the same portfolio was voted down in September 2016. Though it had altogether been publicly owned by the President as an oversight act to Parliament back in June 2016, the current deadlock, quagmire, and public spat between the Parliament and Judiciary on the ministerial election of the former bureaucrat, had more to do with the gaffe committed by the Parliament Speaker honorable Pema Jungney. The public and readers must be informed that the present President Dr Sangay’s Cabinet has nothing to do with this issue, as they had conducted their responsibility of nominating the person, and the whole incident is the post-nomination aspect. Personally, I felt that the issue could have been avoided had the Speaker of the Parliament done three things thoughtfully without rushing to declare the minister to be elected. However, he made three errors in the Parliament that resulted in the present Judiciary-Legislature tug of war. The first mistake committed by the Speaker was his over-the-top expression of whim, in not exercising the secret ballot vote entrusted and entitled to him both as right and responsibility. Provided the Speaker had quietly voted along with his Parliamentary colleagues, the issue wouldn’t have amounted to such a public spat between the two top pillars of democracy. Notwithstanding, the number will tell whether the nominated person remains elected or not. As we all had watched and counted, there are 43 members present in the Parliament sitting at the time of the voting process for the ministerial approval. When the voting from the members of the Parliament had been done, counting resulted in 21 approving the minister, 18 rejecting, two abstentions, and one null and void. In declaring the result, what matters was how many approved the minister out of the members present, rather than how many didn’t approve or abstained. If the percentage is to be sought out of the 42 votes, 21 approved vote accounts for exactly 50 percent. (The calculation is simple 21 = 21 (18+2+1)). However, since the percentage must be calculated out of 43 members present in the Parliament at the time of voting (including the Speaker, though he didn’t vote), the percentage accounts for less than 50 for the 21 votes approved. The Speaker neither expressed his vote as ‘for’ nor ‘against’ or abstention (despite the tie of 21=21) in the Parliament, thus it remained 21 as approved out of 43 present. Secondly, the Speaker rushed to declare the concerned minister elected without pondering the calculation. And meanwhile all the members in the Parliament remained silent, without questioning the declaration by raising a procedural objection to the program undertaken. Some more experienced and senior members should have exercised a procedural objection on the Speaker’s declaration so that the Parliament didn’t have to bear the brunt of this quagmire situation and be nailed and stoned with judicial review by the Tibetan Supreme Justice Commission. The honorable Speaker worsened the tussle by firmly standing by his decision and refusing to reflect on his conduct in his capacity as Speaker. He stated publicly by citing articles from Tibetan Charter that the Supreme Justice Commission has no binding influence on the functioning of the Parliament and vice versa. However, he needs to be reminded (as he must be knowing) about the judicial review, which has no provisions in any article of Charter or regulations, but is clearly expressed in the Preambles of the Tibetan Charter. I shall enunciate this in the concluding part of this article. Thirdly, in my view the honorable Speaker unfortunately attempted to imitate the United State’s Senate president’s functioning. In the US the Senate approves the ministerial (or Secretarial) appointment where in the event of tie, the Vice President, who is ex-officio president of the Senate House, expresses or votes in favor of the President, under whose leadership the VP functions. Since the US Senate has exactly 100 members, the tie is expected and VP or Senate President’s choice in breaking the tie is well understood and expressed. We all know that the Senate President in US is more of Vice President than Senate President. But the honorable Pema Jungney is a Member of Parliament first, and is counted as members of the Parliament in the event of voting for a person or any decision. Therefore, his imitation of the US Senate President’s functioning must come under the scanner. Many vocalists and viewers have expressed their opinion, stating under what regulation the Supreme Justice Commission is disapproving the Speaker’s or Parliament’s decision on the ministerial election. Many even derided the judicial review enactment by the Supreme Justice Commission, mistaking it for Judicial Intervention. Judicial Review is an important feature of democratic polity wherein the rule of law (or regulation) or supremacy of the constitution (in our case in exile, The Charter) is the premise upon which conduct of business and relations between all organs of government (or CTA) is managed. Almost every democratic country, including the salient countries such as India and the US, where the rule of law is supreme has had Judicial Review as an important feature or element to check the acts or enactments of both Parliament and the executive in the event of their acts or enactments encroaching the basic tenets and articles of the constitution or any part thereof. In simple terms, the Judiciary is the interpreter and defender of the constitutions against encroachments by any of the organs of the government. Hence, the Judicial Review should not have been misunderstood or confused with Judicial Intervention. 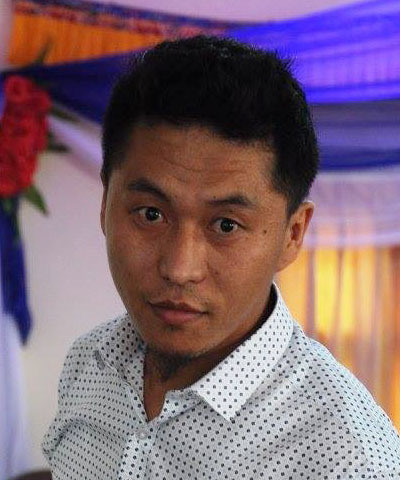 Pam D Tenzin AKA Doring Tenzin Phuntsok, M Phil Political Science, was a TSAM president and NDPT General Secretary. He authored My Name is Tenzin, I am not Chinese in 2016. After working at the research offices of TCHRD and Tibet Watch, he migrated to Australia, where he currently lives with his wife and son. The speaker, your favorite speaker said such things have had done in the past and the supreme court was making an issue out of nothing. So, was the speaker lying? Your favorite parliamentarian, Mr. Dawa Tsering might follow suit soon. Better stop being puppet for such leaders. Try following and appreciating amicable leaders like Lobsang Sangay and Lobsang Yeshi. Dear Tashi la, who said my favourite leader is Dawa Tsering???? Of course Lobsang Yeshi la is one of my most beloved MP. Read the Tibetan Charter carefully. You think Tibetan Judiciary is wrong???? Pema Jungney is my another favourite MP, but that doesn’t mean I can’t criticise him for the things going wrong. It was so palpable from how you guys under the leadership of Dawa Tsering organized the middle way conference. The speaker also mentioned that such things have done in the past and Supreme Court has done any thing. Why didn’t you talk about that? You listen to only half tape of speaker’s interview or you filter what you want to hear or say in order to manipulate the issue in your interested direction to paint yourself as a worthy of political commentator or please those who you want to please them? What speaker said was the precedent followed by certain previous speakers in early Parliament. This doesn’t mean its binding on him. You can read early proceedings too in this case. He can participate in the voting as the electoral mandate is decided by number of votes received, and not on the basis of speaker’s views. Each speaker has their way of functioning and participating. The incident should have been avoided had speaker voted as required. You also mentioned that I didn’t mentiond complete tape of speaker’s interview. What speaker said was in struck contrast to what is required to be done by Charter and regulation. You give me one Minister (Kalon) who got elected with 21 vote out of 43 and I will apologize for my writing in public. Mistake is mistake you need to mention it. Otherwise, I am a good supporter and follower of MP Pema Jungney la since long time back and still I am. You also mentioned I intend to manipulate and please certain section of readers. This is quite unprofessional on the part of you in engaging in the debate such as this. I don’t care of pleasing any section of people. The only people I care to please are my family who has no interest in my writing. So keep the emotions aside and debate here for the ultimate outcome. I borrowed my views on the basis of charter not on character. Yes, he said such things have done in the past. But it’s just precedent where Speaker is not bounded by law. Moreover, none of the Speakers in the past declare someone elected without gaining the required percentage. You appeared to have listened fully to the speaker, but never read the regulations of the CTA to the hilt. Go behind 15 years and name me which Kalon was declared elected with the same percentage???? Therefore, you would not only need to listen, but read the electoral history to see if the undertaking with in conjunction with law or not and not in sync with precedent. Well argued and written as some one who know the inner workings of CTA. I tried my best but I also welcome criticisms and amendments to my writing from every nook and corner of the Tibetans. I loved your book, My name is Tenzin, I am not a Chinese. It is so inspirational. I shared your book with my American friends and they loved it too. All Tibetans should be proud of you. Heads up to you for that. And I loved this article as well apart from what I disagree with your ideas. Keep writing. Thank you so much Tashi la for sharing your positive views on my book and this article. Also I am extremely grateful for your divergent and opposing views on this subject as well as any aspect. It’s great and pivotal to have opposing views to be debated and finally come to a truth. That book I wrote just to tell my college life story and I am extremely thankful for sharing the story with your friends there. I will keep writing out of my interest for writing and trying my best to ameliorate my English writing skills as I am still wanting in many aspect of writing. Kindly keep appreciating me for my good works and also keep a watch and oppose any works that bore inimical impacts. Comments on this post will automatically close in 2 days. Don't abuse each other, ok? We have a “be nice” comment policy. Peace does not mean an absence of conflicts; differences will always be there. Peace means solving these differences through peaceful means; through dialogue, education, knowledge. We can disagree without attacking each other. Our ideas can be in conflict without us being in conflict. Everything isn't war. Don't be in such a hurry to condemn a person because he doesn't do what you do, or think as you think. There was a time when you didn't know what you know today. You don't need to be “just victims exchanging wounds”. Length: Less than 150 words please. Comments over 150 words may be moved to the Letters to Editor section, may be shortened, or may not be published at all. Links: In general, links (website addresses) will not be published. Comments which are off-topic or making personal attackswill be redacted, edited — but most likely not published at all. Also consider sending an article for the Tibet Sun Opinions or Letters to the Editor section — you can send it here. If you need to express yourself in other ways, the Web is huge, and The Wonderful World Wide Web has many other places to put your thoughts, such as Facebook, other news forums, even your own web page. waiting for you. The same as in your own room: Decisions of this room's owner can change, and are final. NOTE: Text in brackets [ ] in a comment are edits by the moderator to help a comment meet these requirements.